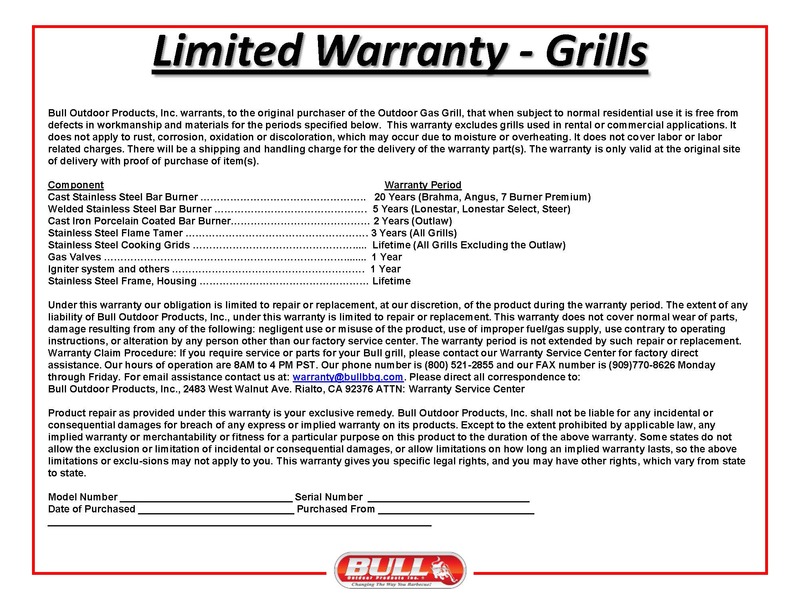 You can obtain more information about the 30" Bull Outlaw Drop-In Grill Head (Cast Iron Burners) from the Gas Grill Warehouse store by Email gasgrillwh@aol.com or call (281)894-8878. 30" Bull Outlaw Drop-In Grill Head (Cast Iron Burners)is just one of the many outdoor Kitchen Products available on the Gas Grill Warehouse web site. The Bull Outlaw is a 30" four burner stainless steel built-in grill. It is available in natural gas or propane. The same size as the Lone Star Select and Angus models, it has cast iron burners, no interior lights and no rear burner for a lower priced option. It is available in natural gas or propane. The Bonfire CBB3 is an economical 28” three burner grill with premium features, superior design, and quality craftsmanship. It is made of high-quality 304 stainless steel and is powered with three cast stainless steel burners. Interior lights, along with LED knob illumination, make grilling at night easier. An infrared rear burner with rotisserie kit allows you to cook large cuts of meat slowly. A high-quality cover is included, to protect your investment, and a limited lifetime warranty assures you years of grilling satisfaction.